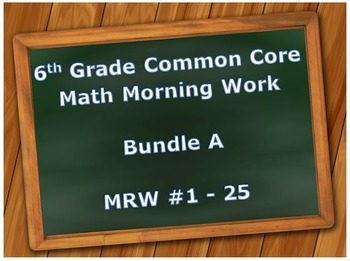 Twenty five days of higher and lower level spiral review of the sixth grade math common core curriculum. 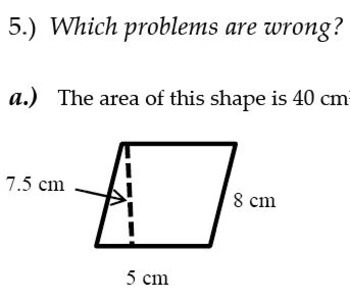 These worksheets provide practice using higher level reasoning such as finding and correcting mathematical errors or solving multiple choice questions with more than one correct answer. They also contain lower-level questions designed to build confidence and fluency. 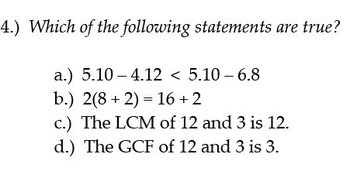 These worksheets are commonly used as daily math bell work, morning work, or starters. Answer keys are included. This product consists of five pdf files bundled within one zip folder. The design in the top left is for a quick speed fact review. Once the worksheets are distributed, the teacher should give the students a number to put in the center of the wheel. Students then either add, subtract, multiply or divide (the operation is noted at the top of the chart) as quickly as they can for a friendly and fast class competition! Directions are included. These daily worksheets can be used in any sixth grade math classroom. We have found that by printing and then copying these on a piece of paper, students can finish at home if they do not have time in class to do so. This helps us move along with class instruction, as well as allow parents to give the extra help as needed. • Our Sixth Grade Math Units have everything you need to teach the sixth grade math curriculum for a year. They include lesson plans, activities, homework, vocabulary quizzes, and unit study guides and tests with accompanying keys. • The Whole Kit and Caboodle is where you can buy all of our units, morning work, and mini-assessments in one place. ⇒We have tried hard to meet the needs of teachers by packaging our products in various ways. This results in some overlapping products in our store. Please download the following free infographic to visually see how our products interrelate and to help you decide what would be best for you. We don't want you to accidentally buy products that contain identical resources!